“New day, new profile pic!”, says the ad. Erving Goffman calls this “impression management,” and social media allows us to control the way other people see us through the image we project online. Our online presence has become a popular extension of our offline selves. Everyday, we consider the numerous ways of expressing our individual identity to our online audience. 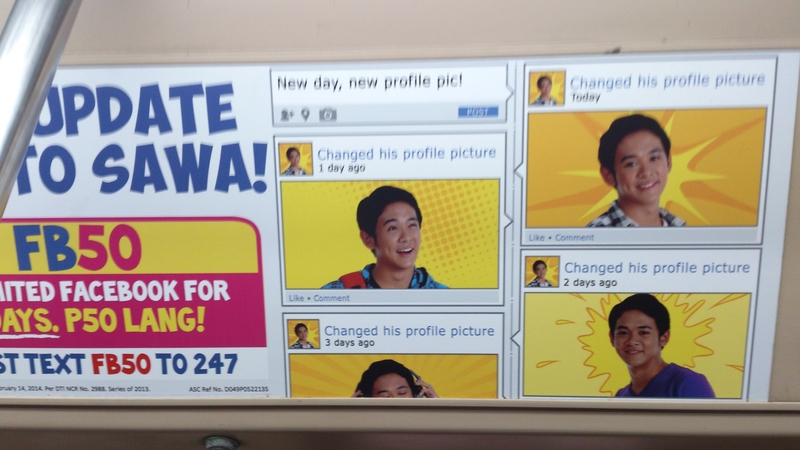 While this ad depicts one way of using social media platforms, it also portrays behavioral patterns that are relatively in tune with the ideal image we want to present to other people. How do the features of social media enable or constrain the construction of online persona? How does culture play a role in influencing the communication of our attributes and the quality of self-descriptive expressions?